Many popular practitioner models on change management do not take into consideration the fact that today’s changes are not linear, but rather a multitude of overlapping change cycles. It is simply impossible to announce numerous new change projects in the same year and stick to administering each of them individually according to standard “change phase models”. Yes, it is about avoiding classic mistakes, but moreover it is about strengthening the capabilities and willingness of organisations to learn and develop – particularly if things have to happen “now”. We believe that a high level of tolerance for uncertainty and ambiguity in top management teams is a critical success factor when leading organisations nowadays. As external facilitators, we do support organisations in the development of a helpful VUCA culture which allows both for continuous adaptation after external shocks and for pro-active (re-)design of old and new markets in order to reach strategic objectives. 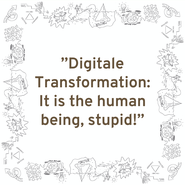 The current challenge of "digital transformation" shows once more that (despite the rhetoric around "digital") it is all about the transformation of social systems - with an abundance of empirically sound best practices available. No matter if private or public sector, no matter which country or continent, in any case it is an art to intelligently orchestrate appropriate instruments, and still be aware that one can never fully control the changes and their impact on others. We have experiences on both sides – internal managing and external facilitating change and culture development, and therefore, we talk your language! 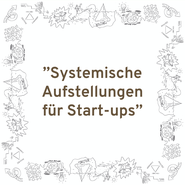 - "Systemic Interventions for Culture Development"